Setting a new benchmark in martial arts literature, this completely revised edition has been updated to reflect the evolution of training methods, both of the author and of the martial arts world in general. Once again this essential manual is clearly illustrated with photography and diagrams, but in addition, it now contains a complete set of training drills, with key footwork and concept linking methods. Fighting practice, fence work, and strength and conditioning are also included in this comprehensive reworking of a classic book. 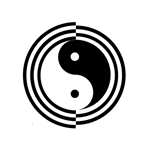 Learn how Wing Chun works, why it is so effective in practice and why its methods differ so radically from other martial arts.